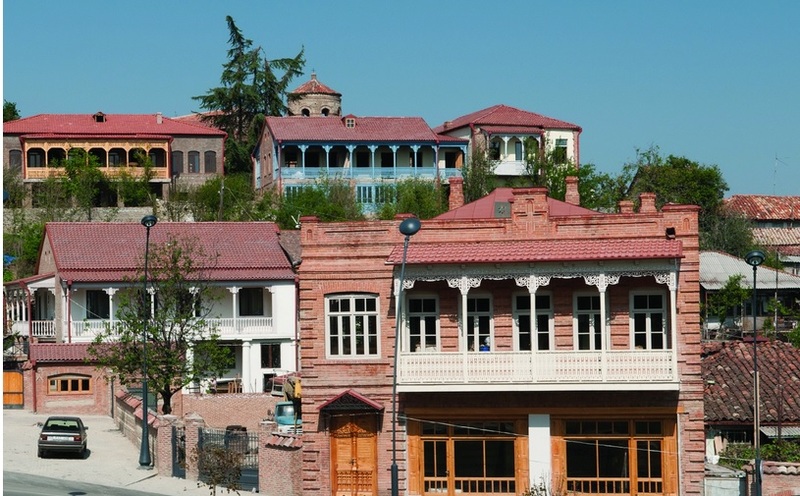 Telavi, historical and administrational centre of Kakheti region, is located 100km from Tbilisi. 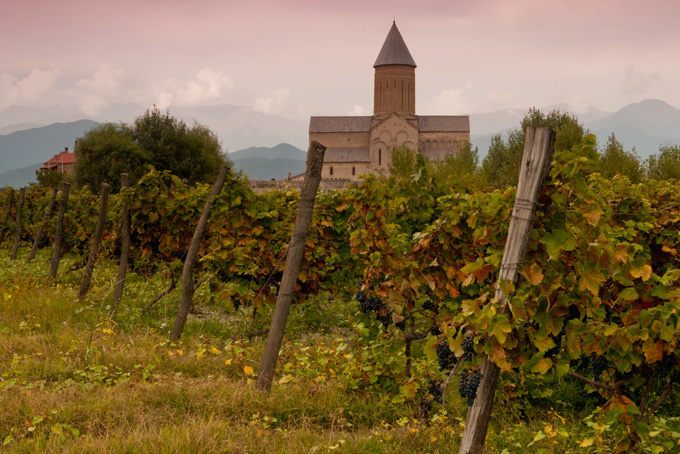 The city and its surroundings is famous for its wineries such as Tsinandali winery and some of the historical churches, among them the magnificent Alaverdi church. Telavi be a place for base travels to explore Georgia’s Kakheti region. 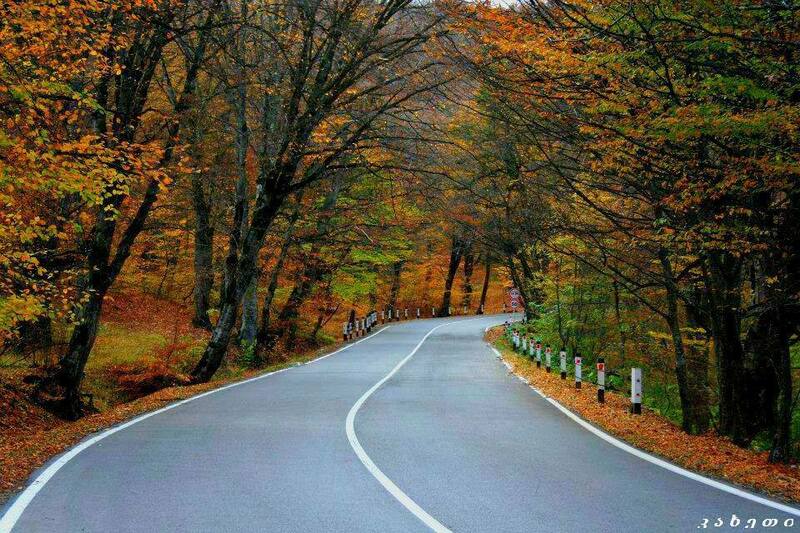 You can make 1, 2 or 3 day trips from Tbilisi to Telavi and combine it with other regions of Kakheti. 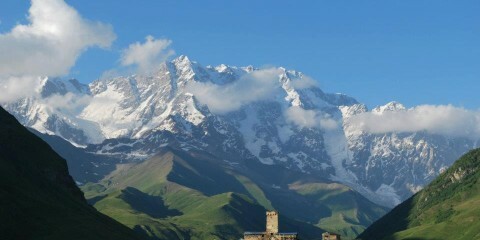 You can even come from Tbilisi for 1 day to eat some traditional Georgian food, walk in the market to taste local fruits and other specialities, visit famous Tsinandali winery and some other wineries of neighboring Gurjaani district which is home to famous wines such as ,,Gurjaani”, “Akhasheni” and “Mukuzani”. The most interesting experience would be to meet local Kakhetians and their families, Drink with them! Experience Georgian traditions of Supra. You can even help them during vintage season and attend and participate in the process of wine-making -collect grapes and after some work participate in Georgian supra (feast). 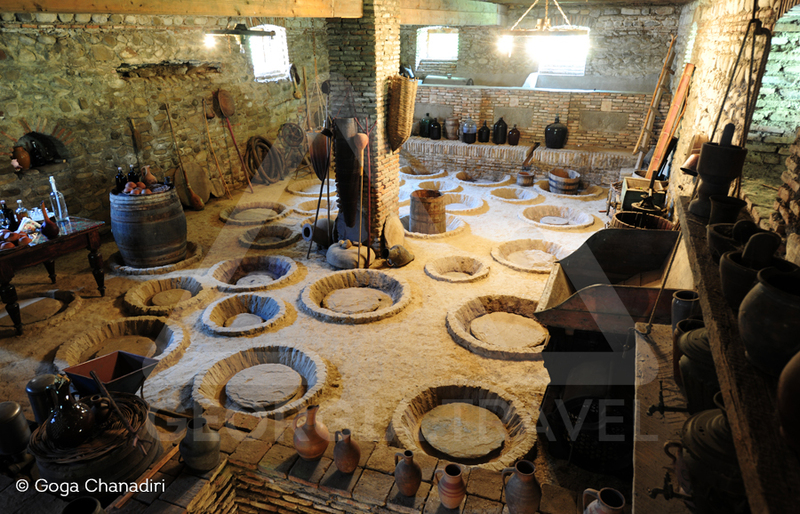 You can also see old earthen crocks (“kvevri”), where different types of wine are stored. You can take part in bread baking, “Mtsvadi” (pork shashlik) and “Churchkhela” (Georgian sweets) making and of course in Khinkali preparing. Vodka-making can be also very interesting for many tourists, how Georgian home-made vodka is made and try to drink some warm Chacha and eat Kakhetian style pork barbeque (shashlik). First, you can explore the city. It has some nice streets such as recently restored Cholokashvili street. Also there is Nadikvari park where you can rest. You can find some interesting museums in the city as well. Batonistsikhe (17-18th century) castle is inside the city with the palace of the king Erekle the 2nd. Nearby you can find out more about the famous Kakhetian King and some history of the region in Telavi State History and Ethnography Museum. Visit The churches: Not all Georgian churches look the same. Within 10km There is Shuamta monastery and old Shuamta church (7th century) and Ikalto Monastery (the other direction). 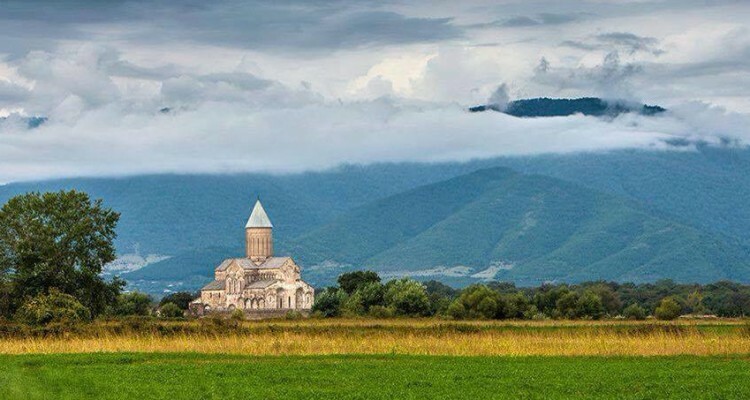 But my recommendation goes for the one of the tallest churches of Georgia (height of over 55 meters): Alaverdi. 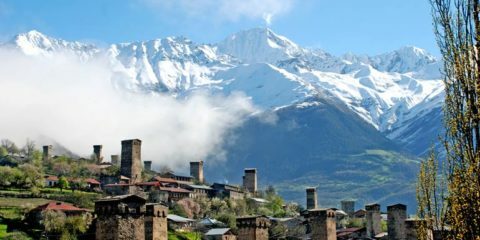 It is located 20km from Telavi in the plains of Alazani valley, surrounded by vineyards, with a view to Caucasus mountains and picturesque architecture it obviously makes the difference. One more church which I would advise if you visit Alaverdi and have some time and want to visit something more exotic and less touristic abandoned site then you drive 30 minutes north west to Kvetera church, in sunny days of spring/autumn it is very beautiful and inspiring. 10th century church is included in the Unesco tentative list, has impressive blue dome, open field, old walls and is amazingly beautiful. 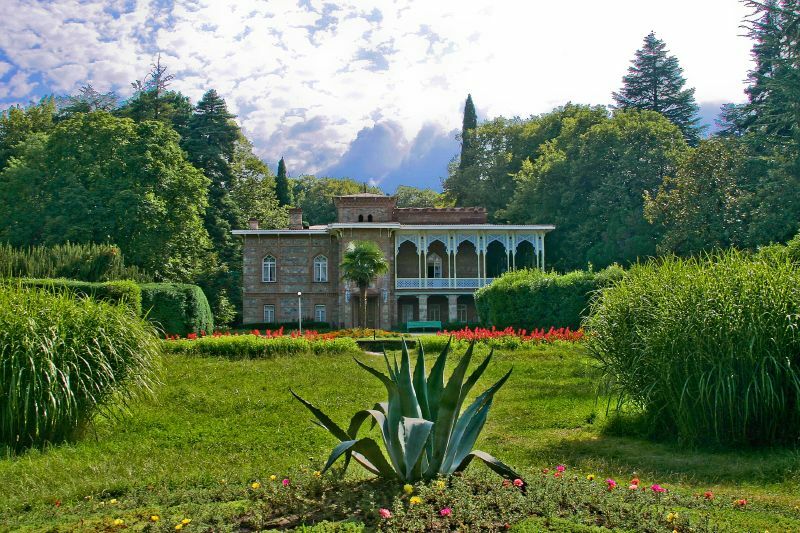 Visit wineries: Tsinandali Museum and winery which offers wine cellars with unique collection of wines with an opportunity to taste, nice garden where you can relax, Georgian nobleman’s palace in the 19th century style which belonged to Georgian poet Aleksande Chavchavadze who belonged to romanticism genre. There is wine factory Shumi in Tsinandali which you can visit. There are some wine cellars which offer some services to tourists, including wine house Gurjaani in the city of Gurjaani 30 minutes drive from Telavi. There are also wine factories in Chumlaki and Kardenakhi villages of Gurjaani which is famous for its 2-domed church in the woods: all-saints church of Gurjaani. Within Telavi itself there are Telavi wine cellar” (Marani wine company) and “Teliany valley” company also has wine-tasting and harvest tours in its factory. 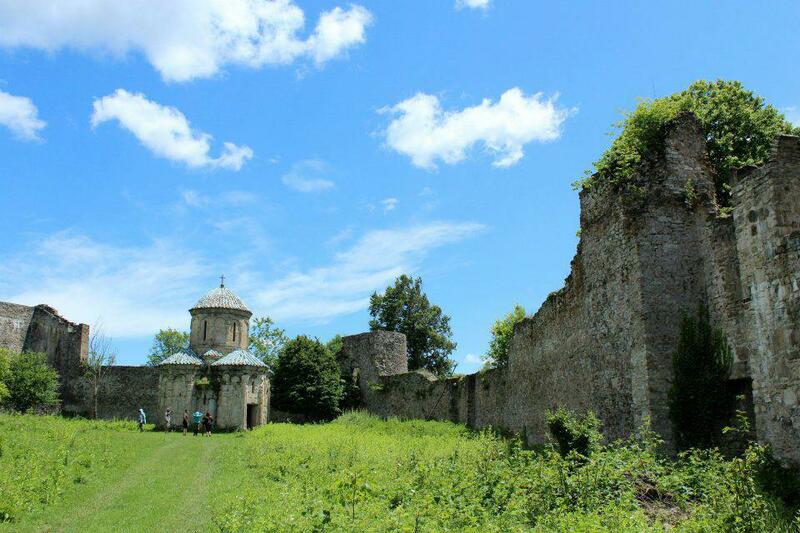 Useful Information: You can not visit the sites of Kakheti walking or hitchhiking. It would be impractical and time-consuming. All of the sites are located 10-20km far from the other. 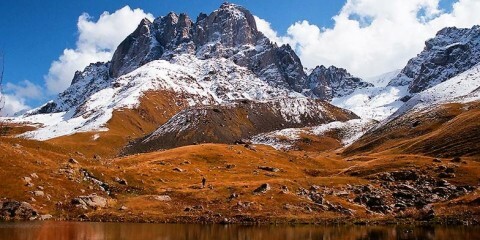 It is better to arange taxi in Telavi or Tbilisi and arrange a trip like Telavi-Kvareli with night in Sighnaghi or if you plan to visit Tusheti taxi may drop you at Alvani at last- in case if you want to visit Lagodekhi or Vashlovani National parks- then Lagodekhi and Dedoplistskaro respectively.